Dr. Jan Boll is professor in Civil and Environmental Engineering at Washington State University (WSU), in the water resources and environmental engineering area. He has research and teaching responsibilities in watershed hydrology, isotope hydrology, water quality, and system dynamics modeling. He is co-principal investigator on a NSF Innovations in Food Energy & Water grant, and also coordinates activities related to the Water and Environmental Research Laboratories in the Environmental Technology Building on the WSU campus. He joined Washington State University in 2015. Before 2015, he was professor in Biological and Agricultural Engineering at the University of Idaho (UI). At UI, he spearheaded the creation of the interdisciplinary Waters of the West program, which launched the graduate water resources degree program in 2007, and he served as its director until 2015. In 2011, water resources and the environmental science programs combined administratively, and Dr. Boll was appointed full-time director of both programs. In his role as Director, he taught Interdisciplinary Water Resources Projects, and team-taught Interdisciplinary Methods in Water Resources. 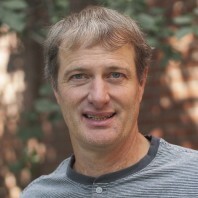 Dr. Boll received his Ph.D. from Cornell University in 1995, his M.S. from the UI in Agricultural Engineering in 1988, and his M.S. (1988) and B.S. (1985) in Land Use Planning from the Agricultural University of Wageningen in The Netherlands. Dr. Boll is a licensed professional engineer in the state of Idaho.